1. What does it mean for an AI system to work 'like the brain'? "But here’s the thing: this 'like the brain' label usually isn’t a lie — it’s just not very informative. There are many ways a system can be like the brain, but only a fraction of these will prove important. We know so much that is true about the brain, but the defining issue in theoretical neuroscience today is, simply put, we don’t know what matters when it comes to understanding how the brain computes. The debate is wide open, with plausible guesses about the fundamental unit, ranging from quantum phenomena all the way to regions spanning millimeters of brain tissue." + The beginning of a series from Beau Cronin, computational neuroscientist and friend of the newsletter. 2. How the Feds put the screws into Ladar Levison, founder of Lavabit, which was used by Edward Snowden. "My legal saga started last summer with a knock at the door, behind which stood two federal agents ready to to serve me with a court order requiring the installation of surveillance equipment on my company's network." 3. The machines are getting a cell network of their own in the Bay Area. "SigFox’s network, which is waiting on final approval of the company’s hardware from regulators, will cover the San Francisco peninsula from its urban tip to the sprawling Silicon Valley region 40 miles to the south. It will be the company’s first U.S. deployment of a network technology that already covers the whole of France, most of the Netherlands, and parts of Russia and Spain. SigFox built those by adding its own equipment to existing cell towers and radio antennas... The Silicon Valley network will use the unlicensed 915-megahertz spectrum band commonly used by cordless phones. Objects connected to SigFox’s network can operate at very low power but will be able to transmit at only 100 bits per second—slower by a factor of 1,000 than the networks that serve smartphones. But that could be enough for many applications." 4. How World War II laid the foundations for Google Earth. "Harrison's most notable legacy was a series of colorful and sometimes disorienting pictures (not quite maps) that emphasized relationships between cities, nations, and continents at the heart of the war. These maps were published in Fortune, then issued in an atlas that became an instant bestseller in 1944. The most powerful of these images anticipated the perspective of Google Earth. Here Harrison reintroduced a spherical dimension to the map, focusing on the theaters of war in a way that—for instance—rendered the central place of the Mediterranean and the topographical obstacles facing any invasion of southern Europe. National borders were secondary to regional configurations, and the viewer was forced to reckon strategically with the complex terrain." "The shruggie or 'smugshrug,' as it is sometimes called, is what's known as a 'kaomoji,' or 'face mark' in Japanese. It's similar to an emoji or emoticon, but it incorporates characters from the katakana alphabet, instead of underscores and carets, for a wider range of expression. (The (╯°□°）╯︵ ┻━┻ table flip is a favorite.) It went viral in English when, after Kanye West shot down Taylor Swift in favor of Beyonce during his infamous 2010 Video Music Awards interruption, he gave a little shrug with his hands outstretched in a slight acknowledgement of his own ridiculousness; the rap crew Travis Porter immediately tweeted, 'Kanye shrug —> ¯\_(ツ)_/¯' as a crude representation of the gesture. 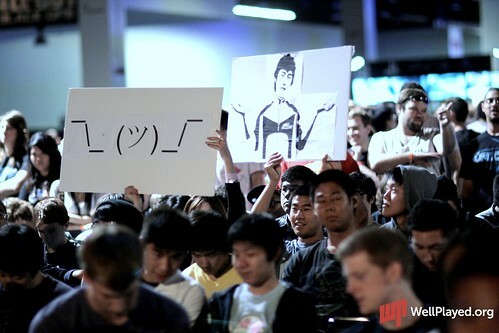 For a time, post-Kanye, ¯\_(ツ)_/¯ continued to represent a kind of self-aware victory over the world: It was appropriated as the victory trademark of SeleCT, a competition-level Starcraft II player from Team Dignitas, after which it became known as 'sup son,' and by late 2011, it was parodied on YouTube by Starcraft competition announcers and plastered on signs held up by fans." black(en). The short form is used when the intentional laying on of coloring matter is meant, & otherwise the long; we black boots with blacking, grates with black lead, & faces with burnt cork; we blacken a reputation, oak blackens with age, & the ceiling is blackened with smoke; an exception is that we black, rather than blacken, a person's eye for him. The mode of casual racism is lurking. The blackface reference in this definition smolders among the italics and semicolons.